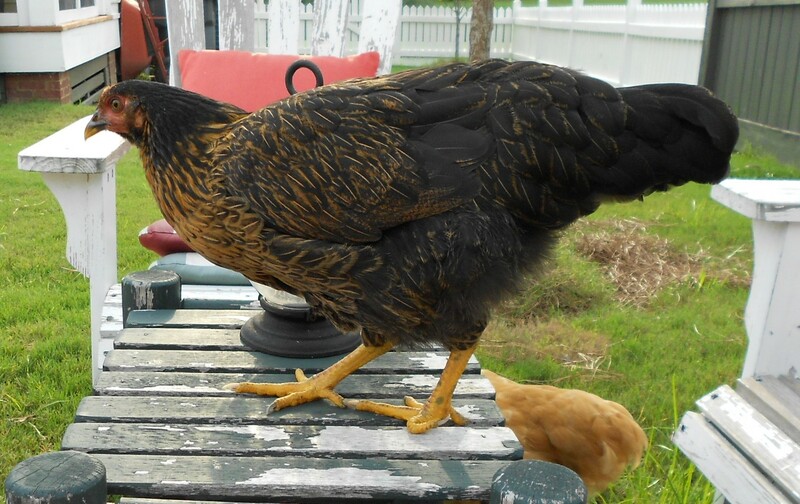 Nowhere in all the books or websites does it say that chickens will commit high crimes and misdemeanors for purple grapes, but it is a stone-cold fact. 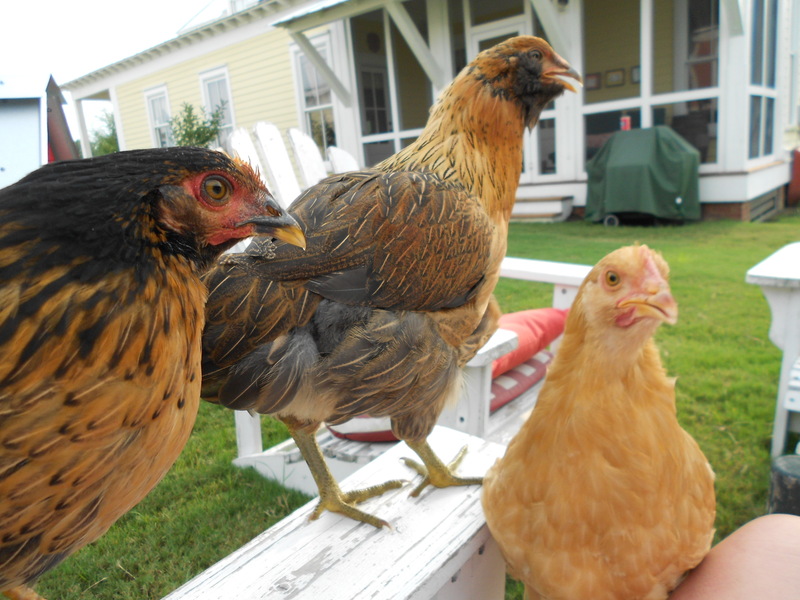 When I walk out into the hot Alabama air in the evening armed with a small bowl of grapes cut in half, (easier for their beaks to grab) I am instantly assaulted by three ravenous beasts intent on consuming more than their share of yum-yums. Gimme the grape and no one gets hurt! 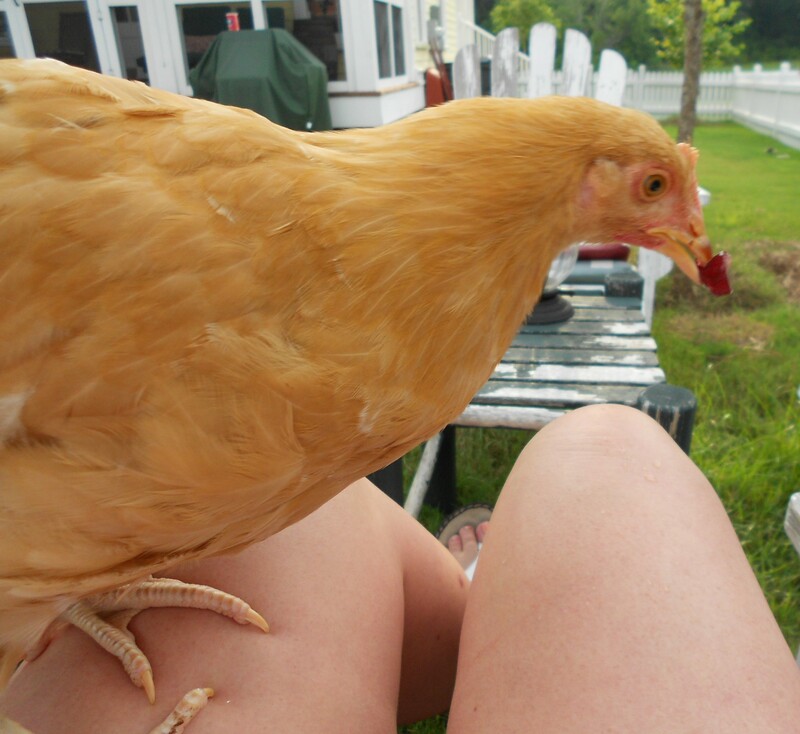 Of course Violet is the most aggressive, pushing and pecking her way to my awaiting fingers. Do I get a sympathy grape because of my "wonky" toe? Daisy gets her licks in too, but recently, Rosie has begun to assert herself as well. Up until now, she would stand back and only occasionally receive a morsel if I hand-fed her with Violet and Daisy out of the vicinity. Now she gets into the fray and more often than not, scores four or five treats. That’s my girl! I receive mild lacerations on my shins and thighs for my trouble and have lost two earrings in the melee. 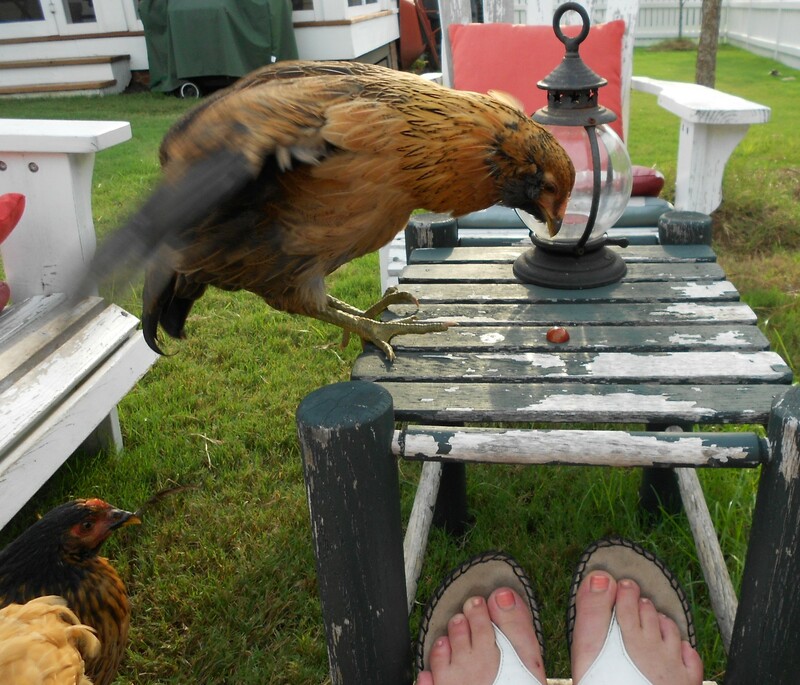 If my toes are recently manicured, my tootsies are pecked as well. These are minor inconveniences for me because I receive untold entertainment, watching my little cluckers, (oinkers) perform for their snack. Yes, the talons do hurt a bit. Worth it! 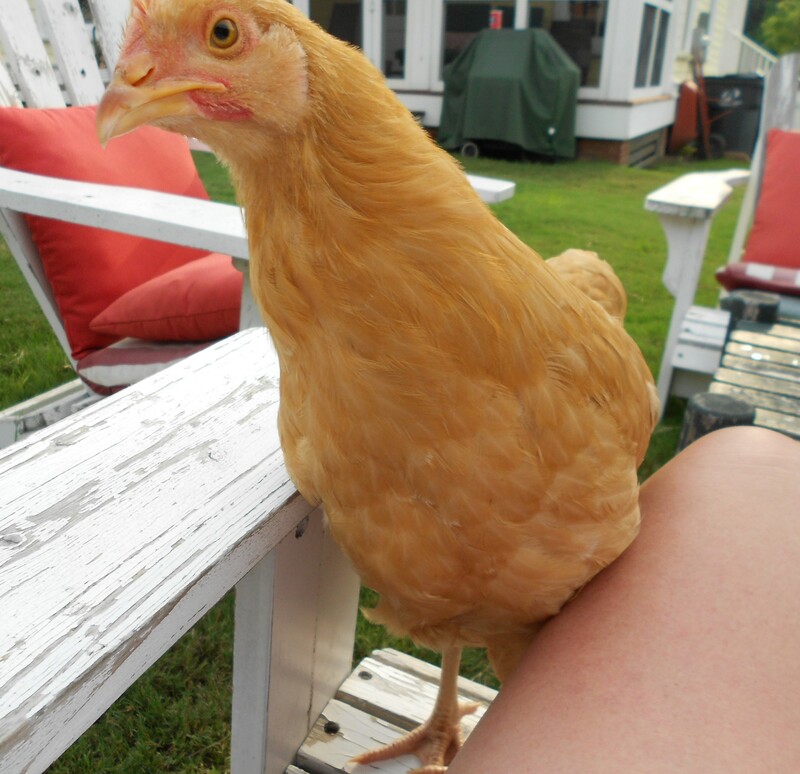 Violet has gotten three feet of air retrieving a morsel from my hand and Daisy and Rosie usually jump at least two. I’m pondering a training program for the girls whereby I can get them to ride small tricycles and peck little pianos for their supper. OK, don’t call Animal Welfare. It was just a thought! Then you can be the entertainment on a cruise ship!! I bet I could teach them to play shuffleboard! Love that look coming from Daisy! Yes, she looks like she means business!